Breakfast is the most important meal of the day. And when you start your day with a good breakfast, the rest of your day automatically goes better. Ditch the boring old bacon and eggs or leftover pizza and start your day with a healthy and nutritious breakfast. When you have a nice and healthy vegan breakfast you will be fresh as a daisy. And when you feel good, you are more productive. There are a lot of misconceptions when it comes to vegan food, especially breakfast. The truth is it is not just plain old soy milk and tofu. It is a delicious and fulfilling meal that will have your mouth watering. 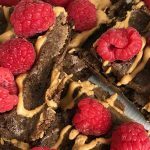 These are also a great alternative to your morning smoothie using vegan protein powder or just grabbing a vegan protein bar. Once you try these amazing breakfasts, you will convert to veganism! Out of the numerous vegan breakfast options, here are a few of our favorites. We are sure that you will love them as much as we do. This yummy and full of flavor dish is perfect for you to start your day with. 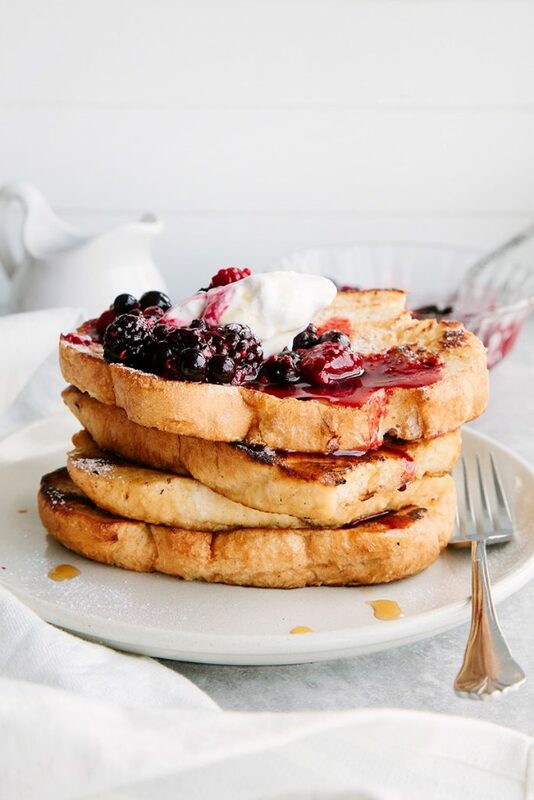 These scrumptious French toasts made from almond oil and a blend of flour will have you longing for your next French toast meal. You won’t even notice the absence of egg when you are eating these delicious French toast. Are you running late for work and only have time to grab a quick breakfast? Well, this is a perfect time for some sun butter, banana, and chia seed toast. Instead of going down the boring bread-and-butter route, go towards a healthier and tastier route. 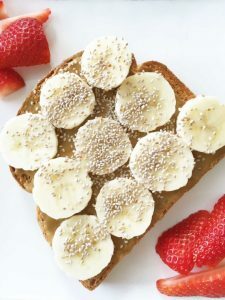 Just spread some butter on bread, add some bananas, and sprinkle chia seeds on them. With all the delicious ingredients just tossed in that delicious tortilla, who can resist a breakfast burrito? 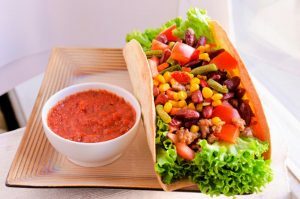 And if those ingredients are refined beans, veggies, and scrambled tofu, that is just icing on the cake; figuratively of course! After a refreshing morning workout, you need something fulfilling. And it has to be quick to cook because who can ignore those hunger pangs. This is a perfect breakfast, with proteins, carbs, and lots of energy. All you need is oats, a banana, peanut butter, agave, vanilla extract, and 1 scoop protein powder and your power breakfast will be done in just 10 minutes. For a full dose of vitamins and minerals, try the breakfast cereal acai bowls. Though acai is a berry, it is usually used as a puree or in powdered form, giving you a smoothie-like result. Add acai and a lot of fruits to your breakfast cereal and you will be daydreaming about this bowl for the rest of the day. What’s a breakfast without a smoothie? We’ll tell you: boring! Now you turn your boring breakfast into an exciting one with the help of chocolate banana-berry smoothie bowl. 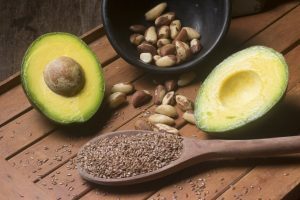 It has all the ingredients for a perfect breakfast: healthy fats, omega-3s, proteins, and fruits. In just 10 minutes, you will be devouring your smoothie bowl. Man, are we jealous?! 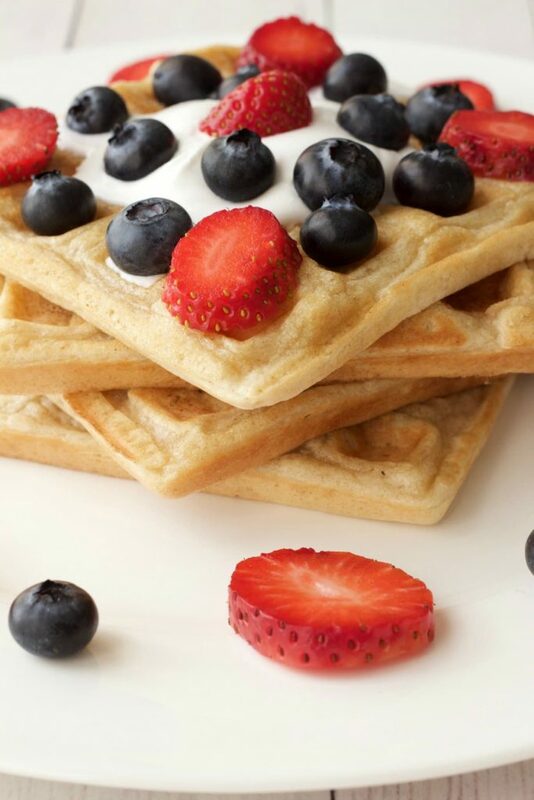 d make yourself some mouthwatering vegan waffles. After eating waffles with lots of fruit toppings on it, you will be wondering why you didn’t make them before. We have a way to make oatmeal sound yummy. Instead of just eating a bowl of plain oatmeal, add lots and lots of colorful and fresh fruits on it. That will make it more tasty and fulfilling. All these food options are making us very hungry. Enjoy your breakfast like it’s meant to be enjoyed. Happy eating!